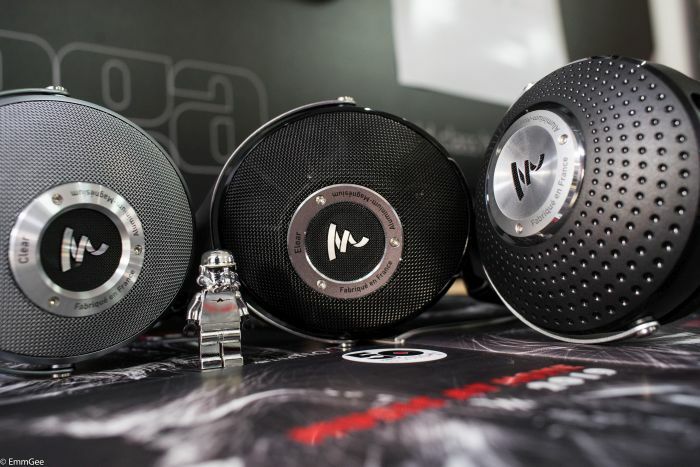 Focal Headphone Triple Treat: Clear, Elear And Elegia Get You Wired For Sound. The iconic Sony Walkman was introduced to the world in 1979, thus starting a revolution in portable music. Of course headphones were a key part of that movement. Suddenly people everywhere were seen wandering the streets and on subways wearing little discs on their ears. Trapped in their own world (or even free to roam their own little audio heaven) people just loved music on the go. From then on headphones give us absolute control over our audio-environment, allowing us to privatise our own space. But it also represented a shift in our basic relationship to music. And then of course came the Mp3/Ipod movement and then the high end music player market. As a result we (the industry) have had a year on year growth in headphone sales for the last decade. But that's not the only reason for great headphone sales over the last decade or so. In 2014 GQ magazine had a headphone spread on its website and made this quote “The newest fashion accessory isn't a fashion accessory at all. It's head-swaddling high-style headphones ,that make as much of a statement as anything you're wearing”. So looking and sounding good is a must. 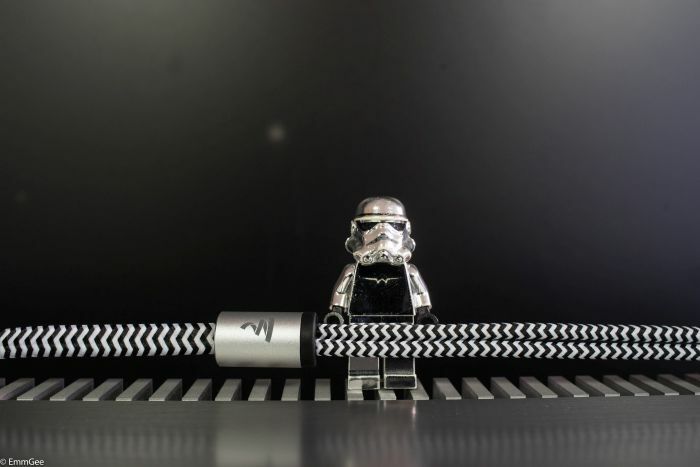 The headphone cable is covered with a braided-cotton sleeving to prevent any electrostatic charge. It looks good and will prevent our Chromey getting a shock!!! The stamp “fabrique en Francais” make the team at Focal quite proud and create beautiful products. Pictured above are The Clear headphones. Clear are the brand new open-back high-fidelity headphone made by Focal. Continuing in the spirit of Utopia and Elear and using the best of Focal technologies, Clear offer the sensation of listening to your favourite music in a space that no longer has limits. Discover the emotion of music, thanks to Clear's ability to recreate the tiniest details of the recording. 20mm memory foam ear cushion covered with a perforated microfibre fabric. Pictured above are the Elear headphones. Elear is an open back pair of headphones featuring numerous innovations from Focal, which are key to their outstanding acoustics performance. 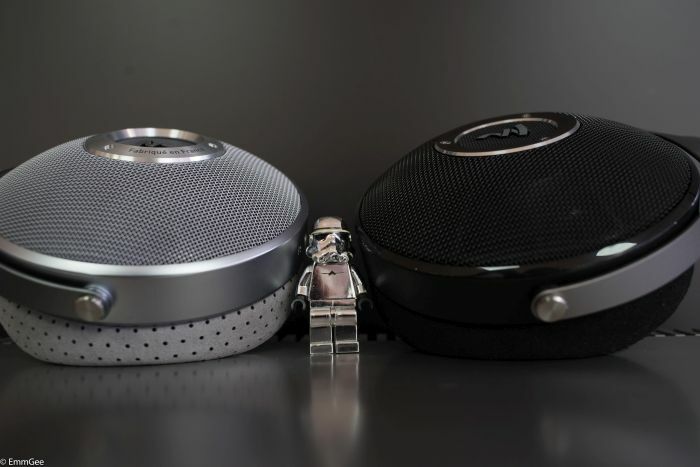 Elear offers the world’s first, full range and fully open back loudspeaker, built-in to a pair of headphones. Additionally, they are made from an Aluminum-Magnesium blend, in a formed shape, unique to Focal with the company’s brand new “M” shape dome. This new dome shape has originated from the research performed during the Utopia headphone project that will offer the highest quality sound, while avoiding potential avenues of distortion. The acoustic quality of this exclusive solution allowed Focal to avoid the use of any crossover or passive filtering process in order to achieve a frequency response from 5Hz to 23kHz. The result is thus impressively realistic, making the headphones virtually disappear and providing listeners with a truly unique high-fidelity audio experience. Elear also benefits from the R&D done on Utopia. With regards to mechanical design, the rotation traditionally included on the yoke has been moved into the headband to ensure the total purity of the design. The microfiber fabric, used on the cushions, offers a true comfort for all head shapes and sizes – a quality that is mandatory for long listening sessions. 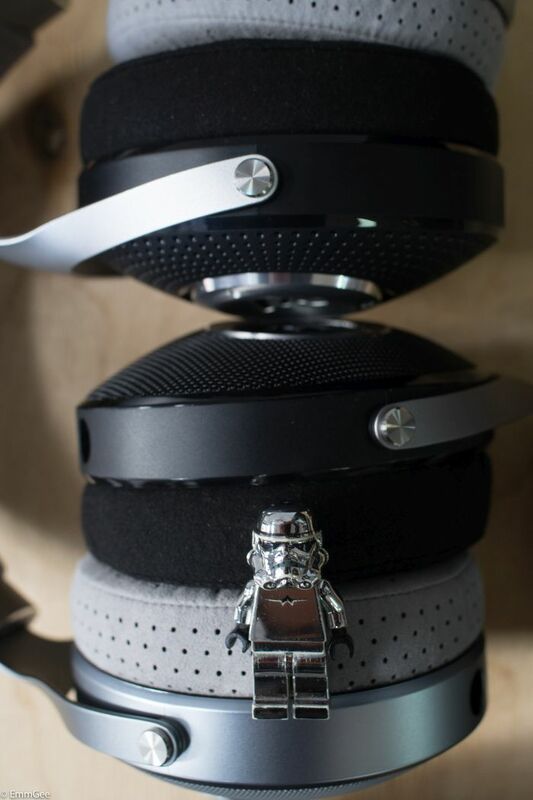 Pictured above is the Elegia headphone. Elegia is an audiophile circum-aural closed-back pair of headphones from Focal. The ergonomic design makes them incredibly comfortable and offers excellent sound isolation, making these headphones the ideal solution for long listening sessions. Continuing its headphone development programme, the Focal R&D team has introduced several new innovations, all with incredible audio performance in mind. The full-range 'M'-shape aluminium/magnesium dome speaker driver provides a very high frequency response, which is the basis for Elegia’s supremely dynamic sound. In addition, the frameless voice coil, which is lightweight yet incredibly stiff, reproduces the minutest details that adds to the convincing all-round performance. With its incredible tonal balance combined with long-term comfort, the Elegia is a key reference in the high-end closed-back headphones sector. Ok so that's the technical details out of the way. How many different specs could you possibly need before we all start to glaze over? What we really want is the music to start flowing, so without further ado, here are our deliberations. Well The Clear are certainly the best of the bunch, sounding much more detailed with an openness and airiness that lends it self to the lightweight diaphragm in the Clear's which is much more responsive than the Elear and Elegia. But to be fair, and this isn't a cop out, all three of the Focal headphones sound impressive for their respective price points, but don’t take our word for it, come and have a listen and decide for yourself! £1399 for The Clear, £895 for The Elear and £799 for The Elegia. But in all honesty the proof of the pudding is in the listening. So get yourselves over to our store on Bridge Street Manchester, all of the featured headphones are on demo. Mike, Munir, Dave and Simon (Haden on Sunday's) will be there to help you to turn on, tune in and drop out. And remember, our Cliff can’t be wrong. As seen in The Guardian’s top ten worst video’s ever made. Audioquest's Nighthawk headphones have been tweaked and enhanced...and have been reborn as the Carbon edition! We are going to take a closer look at the headphone and what you get as a package and give you some indication of the sound. Let your own ears be the judge! Above shows the case with front cover. On the back shows main features and specifications. Full specifications can be found here. The travel case looks and feels well made. Inside everything is kept safe and secure. Once opened you will find the user manual, pre-flight guide, cable (1.3m), 3.5mm adaptor, x2 ear pads and the headphones. The pre-flight guide provides useful information like running in time (150 hrs), different tuning methods using either the leather (improved treble) or suede (enhanced bass impact) ear pads, cable button functions and best practice for looking after the silver plated plugs. Above shows both the protein leather and ultra suede ear pads. Here we have the 3.5mm to 1/4" adaptor & high performance long grain copper Audioquest cable (1.3m) with mic and smartphone control, terminated with silver plated plugs. This picture shows the comfortable leather headband and deep ear pads which equates to long lasting comfort, you can even forget you're wearing them! The styling is beautiful. The Audioquest Nighthawk Carbon headphones are exceptionally comfortable, with a more exciting sound when compared with the original Nighthawk's. Bring some of your favourite music and come and have a listen! Brighton, Bristol, Cheltenham, Enfield, Manchester, Portsmouth, Preston, Reading, Southampton, Swansea, Swindon. The Story and the Sound. With the iPhone 6 being probably one of the most popular phones on the market today, Arcam has taken it upon themselves to give it a much needed boost in audio performance and battery life.